When your reputation is collapsing | Andy Sernovitz | Damn, I Wish I'd Thought of That! I mentioned that I had a great experience using Uber to get around DC. Within days, people started sending me negative articles about what an awful company they are. True or not doesn’t matter here: A company that earns bad word of mouth (especially one that provides a great service) is in trouble. It takes consistent, deep-seated, bad will to make people hate your company. And it usually comes from deep-seated bad attitudes within a company, and often from leadership. 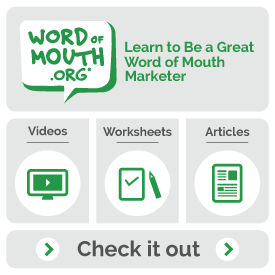 The one truth about word of mouth is that the truth always rises to the surface. If you’re facing this kind of attack, it’s time to look within.